F&W's collection for Mouth.com includes Pop Art's delicious popcorn. 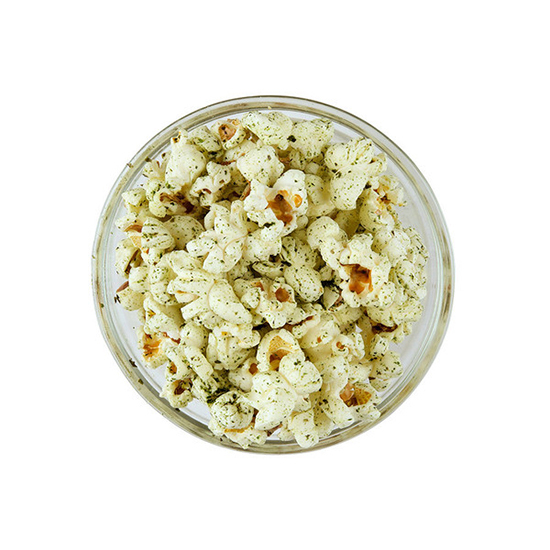 F&W's collection for Mouth.com includes Pop Art's delicious popcorn. Tossed with dried toasted seaweed and slow-roasted sesame seeds, it's "perfect for surf and turf snacking," says F&W executive food editor Tina Ujlaki. Here, she shares three ways to get the most of this addictive snack. 1. Use as a garnish for butternut squash or mushroom soup. 2. Toss with rice crackers and wasabi peas for a fun snack mix. 3. Fold into tuna or scallop ceviche.